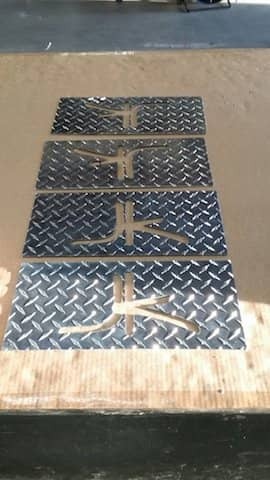 Getting your custom made metal logo or sign cut out is almost as easy as our 4 step configuration process. First you need to send us your idea. Maybe you have a drawing or a photo of your logo or sign or even only a sketch is more than enough to calculate a free quote for you. But we need a little more in order to calculate the sheet metal sign to give you an estimate. 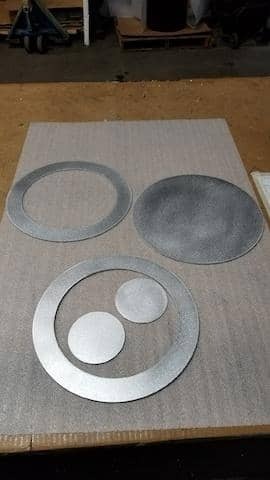 First there is the metal in which you would like to have it cut from. 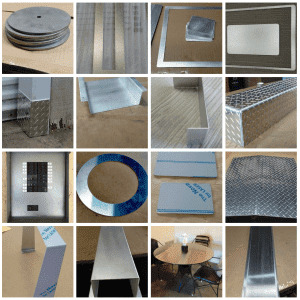 The choices are Steel, Aluminum and Stainless steel sheet metal. 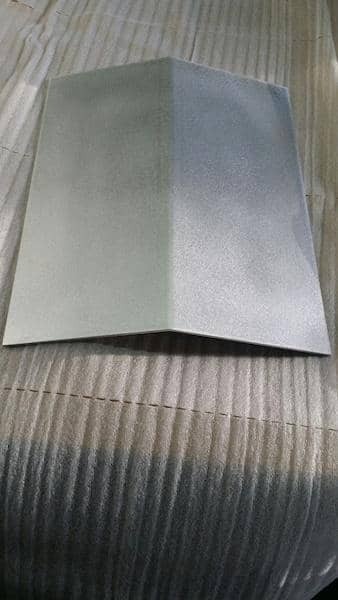 Each is available in different finishes and thicknesses. Check out our calculator to see which one would fit your purpose the most. Obviously we will need some kind of template. The general rule is the better the template the better the later result. The next image shows you what the customer was able to provide us. In this particular case only the "JK" - part of the provided information was important. 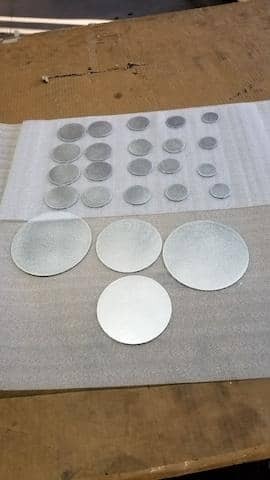 The customer defined the total size and the Aluminum Diamond Plate he wanted it to be laser cut. 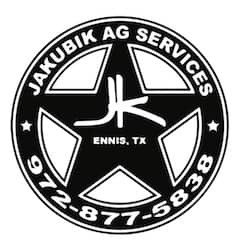 After you have accepted our offer we will start working for you. 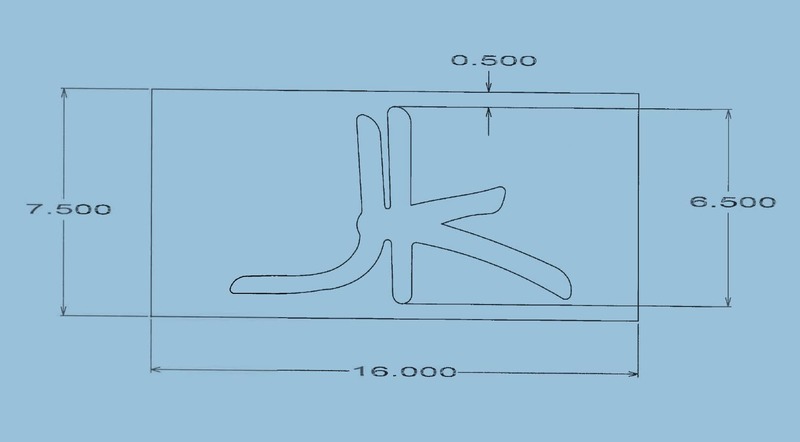 Depending on the scope we might even send you a prove file so you can see in a CAD - drawing how your metal sign will be looking like. 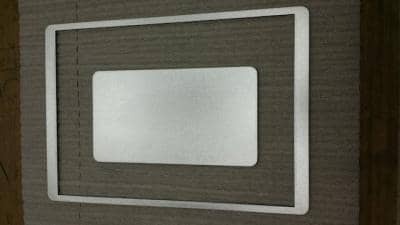 Once you approve it, the next step will be to program the laser cutter with the right parameters, such as kind of sheet metal, thickness and finish. All important information to have the laser navigate and cut the logo as programmed. Here is a video we took from a different project. The end result will look as individual as your idea is. 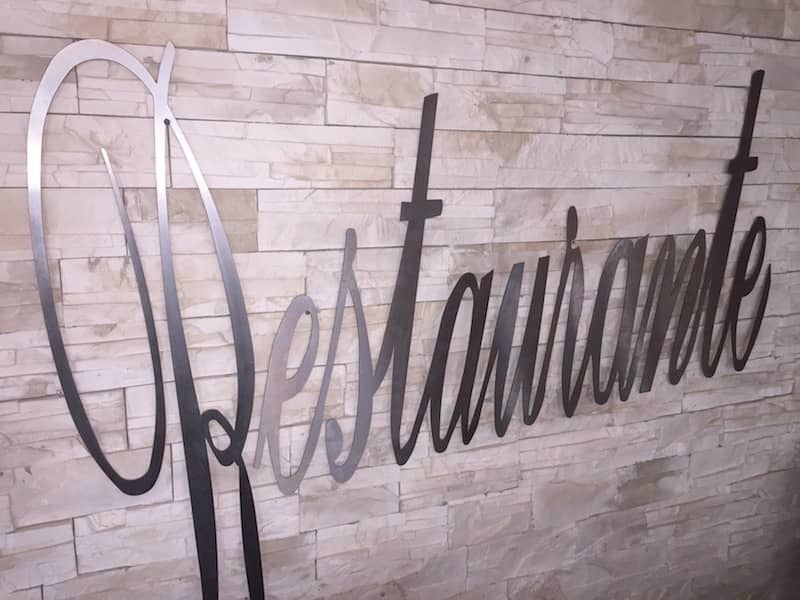 Here are some more examples of metal signs / logos we have done for our customers. 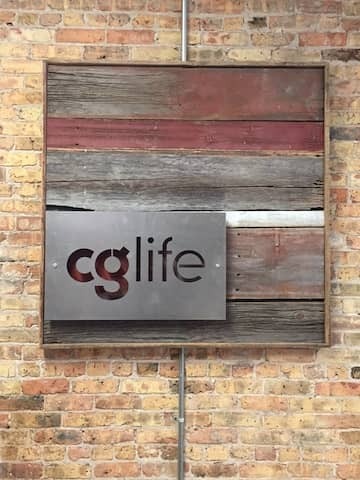 Some of our customers are so kind and send us a picture of the logo after it is placed in the designated area. 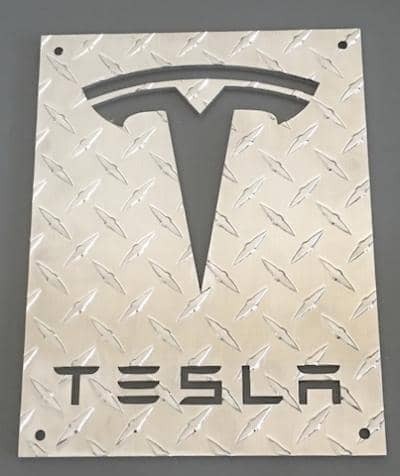 Please feel free to do so as well, we always like to know you are happy with your metal sign idea. Here is another very nice example. 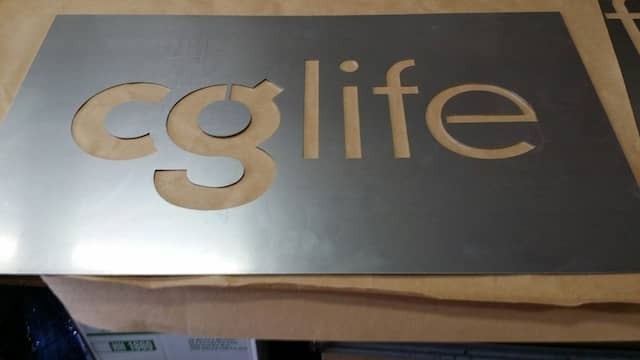 A simple lettering based on the requirements cut out of stainless steel. You choose the font, the size the sheet metal thickness and so on. Don't forget it is something very unique you will not get anywhere else.